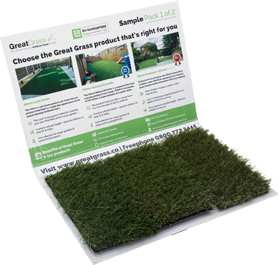 Order your artificial grass now in time for the autumn holiday & get 5% off! Another school holiday you ask? Yes! Most Schools in the UK will break up for the autumn holiday on the 25th of October; or the following week in some parts of the country. Make the most of the final days of good weather and allow your children to play in a clean & low maintenance garden with Great Grass. Most orders are delivered within 2-3 days so there is still plenty of time to get the garden in tip top shape for your little adventurer! *Orders over £400 qualify for free delivery & larger, heavier orders can take longer to deliver (Please ask at the time of ordering).